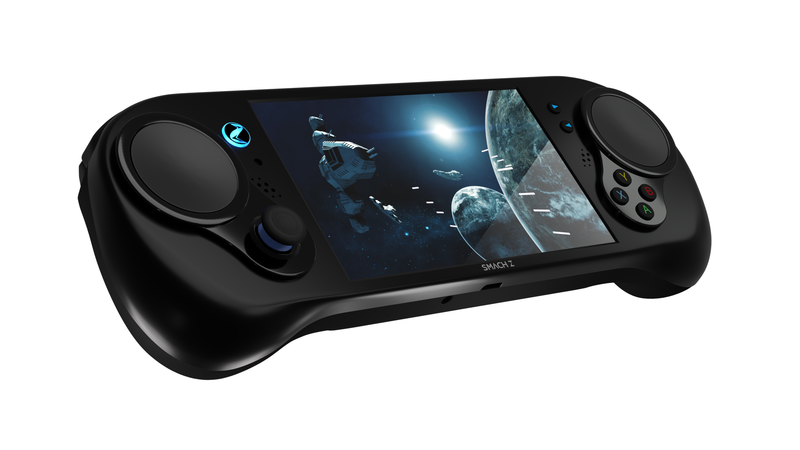 SMACH Z, a “handheld console to play PC games on the go” as it is described by its makers, will be available for pre-order from $699 starting March 15th on the official website. The first ten thousand pre-orders will receive the console before the market release and enjoy a 10% discount. In case you’re not familiar with it, SMACH Z was originally Kickstarted in November 2016 with $501,125 in pledges. The campaign then continued on Indiegogo where the project received an additional $185,000 or so in funding. 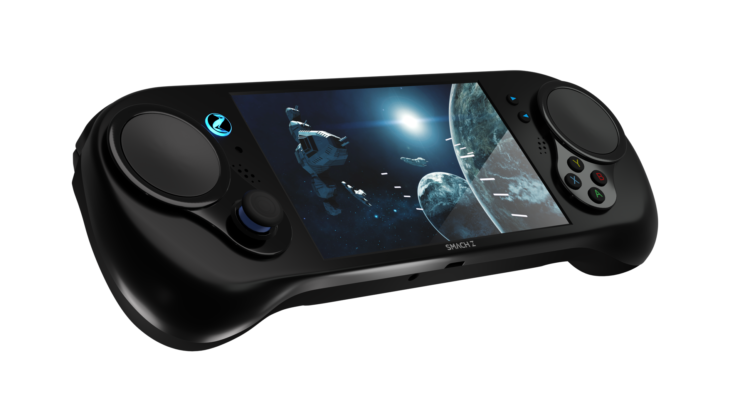 The introduction of the SMACH Z handheld console will create new opportunities for portable gaming devices, enabling users to play AAA titles at HD framerates, delivering desktop-quality power and graphics in the palm of players’ hands. By leveraging the new AMD Ryzen Embedded V1000 with superior graphics capabilities and mega processing power in our console, we are ready to revolutionize the on-the-go consumer gaming experience. The new AMD Ryzen Embedded V-Series is a market changer. Working together with AMD has been a great opportunity for us to make real the gamer’s dream of playing AAA PC games on the go. There will be two versions to choose from, a basic and a Pro. 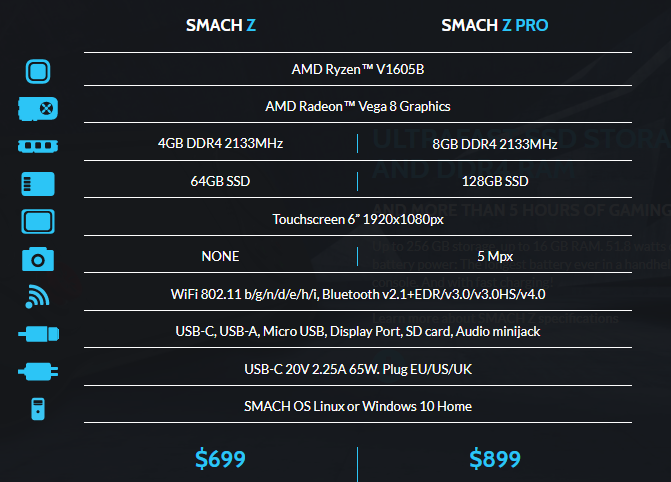 As you can see in the picture below, the Pro will offer 8GB of DDR4 2133 MHz RAM as opposed to 4GB, 128GB SSD of Hard Drive as opposed to 64GB, as well as an additional front camera of 5 Megapixels. Both versions of the SMACH Z will use a 6-inch 1080p resolution touchscreen. You’ll be able to choose between using Linux or Windows 10 Home Edition as the OS, while connectors include an audio minijack, SD card, DisplayPort, Micro USB, USB-C and USB-A. The press release also gives an indication of how some of the most popular PC games can be expected to run on the device. This device seems to be directly competing with the GPD Win 2, which will be mass produced starting from the beginning of April. We’ll keep an eye on both products – which one are you interested in the most, by the way? Let us know with a comment below.